The antioxidant properties of Rooibos and Honeybush teas are well documented. Now, for the first time, the health benefits of Rooibos, HoneyBush and Sutherlandia (Cancer Bush) are combined to create a delicious and healthy beverage. Rooibos is a unique natural product with plenty of healthy minerals and vitamins. It contains high levels of 37 known substances which act to limit the effects of superoxide molecules or oxygen free radicals. These substances which mimic the effects of superoxide dismutase, help to limit the many toxic effects which cause aging of the skin, muscle, internal organs and brain. Studies have shown this tea is comparable to green tea in the amounts of polyphenols it contains. It shows anti-mutagenic, anti-carcinogenic, anti-inflammatory and anti-viral activity. 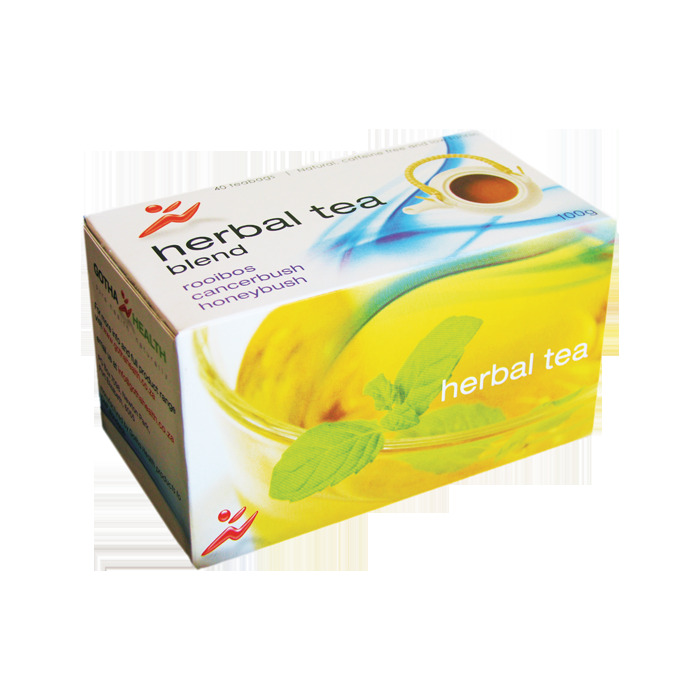 Honeybush tea is naturally sweet, caffeine free and has very little tannin. It is very soothing and calms the central nervous system, eases constipation. Like Rooibos, Honeybush contains antioxidants which boost the immune system and help to destroy toxins in the body. However, the antioxidants in Honeybush have a unique composition and work in different areas. Sutherlandia is known as Cancer Bush as it was used as a traditional treatment for cancer. While its positive effects on cancer have not been fully tested, the tea is known to ease digestion, remove anxiety and promote a feeling of wellbeing. In addition, Sutherlandia has powerful anti-inflammatory and anti-viral properties which boost the immune system.